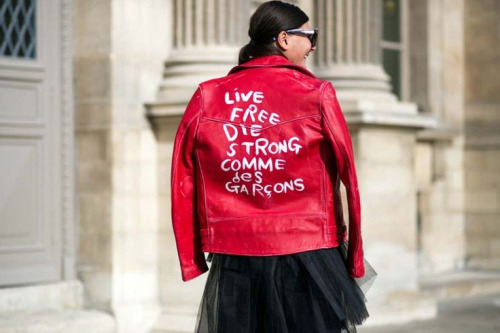 This post is inspired by the famous Comme des Garcons jacket seen above in black and below at Paris Fashion Week in red. 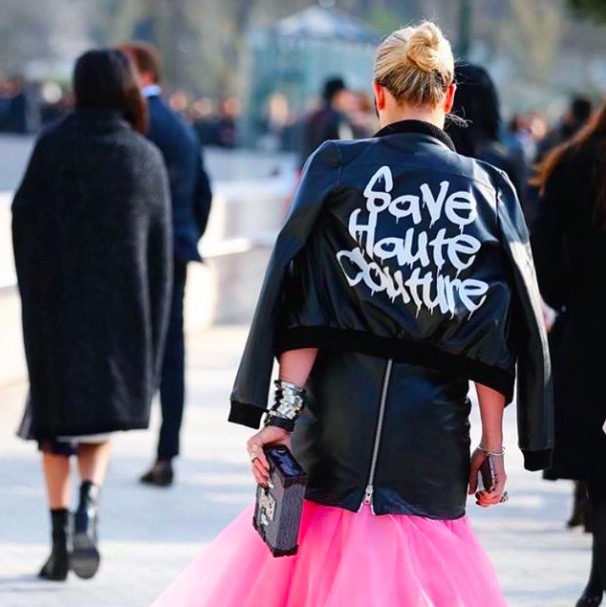 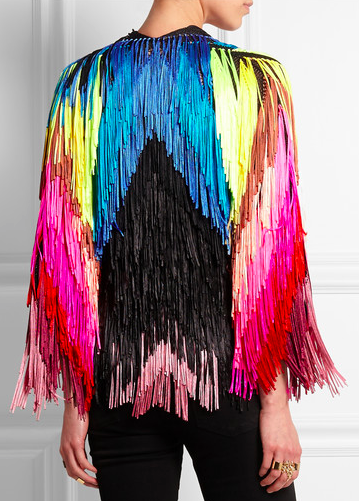 The jacket, which you can’t help but stare at for longer than you should, is essentially the definition of a Statement Jacket: bold, brazen and extravagant. 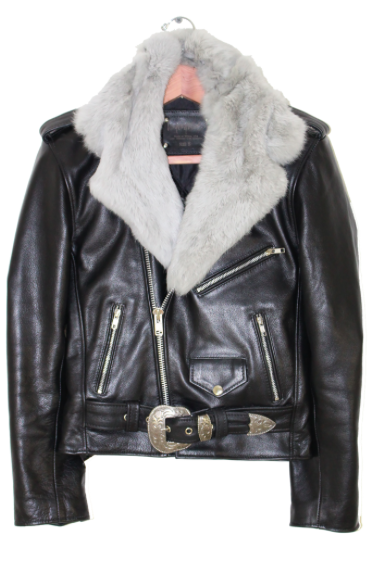 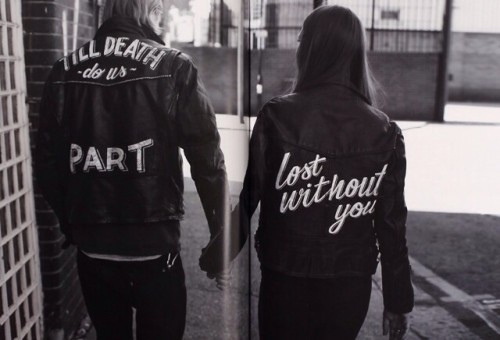 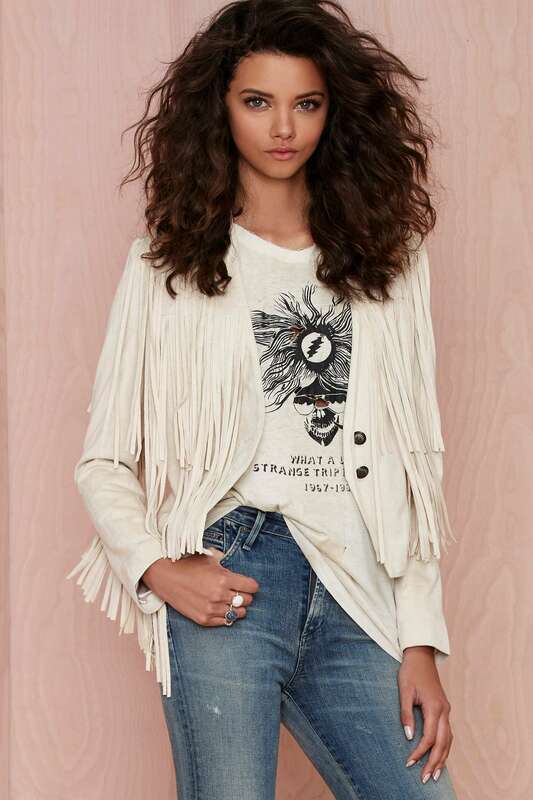 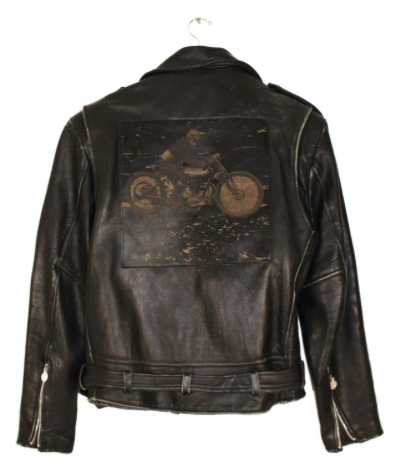 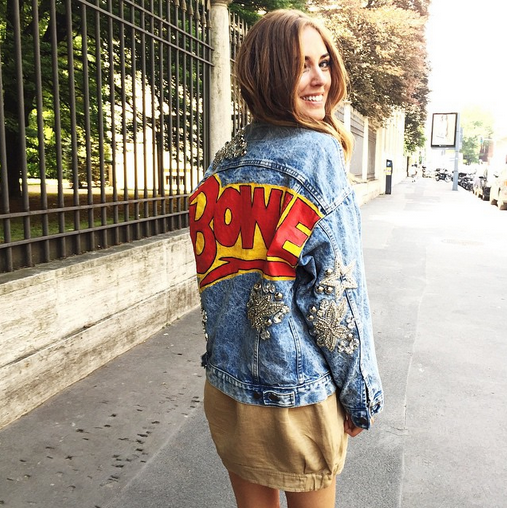 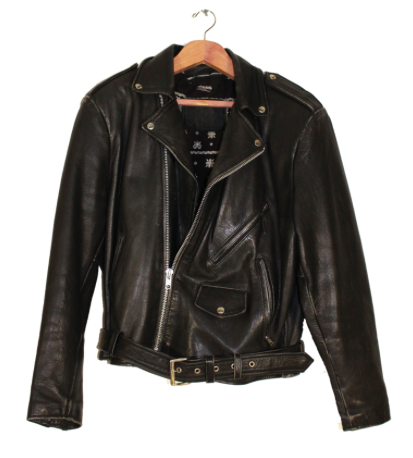 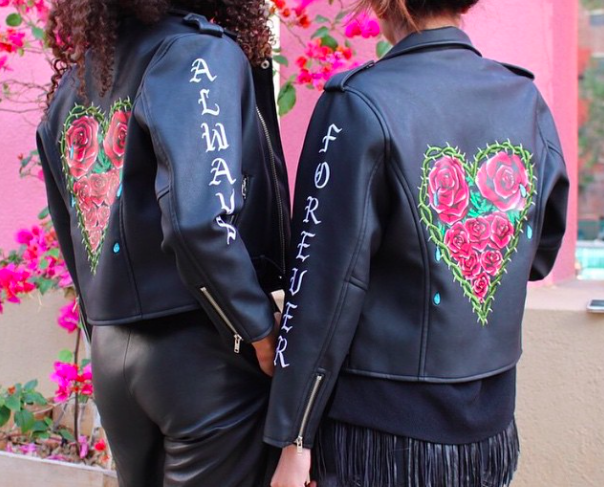 The Statement Jacket has been a favorite trend of celebrities for decades, not least Mr. and Mrs. West, who debuted their jackets on their wedding day to make the biggest statement of all–their Just Married declaration to the world. 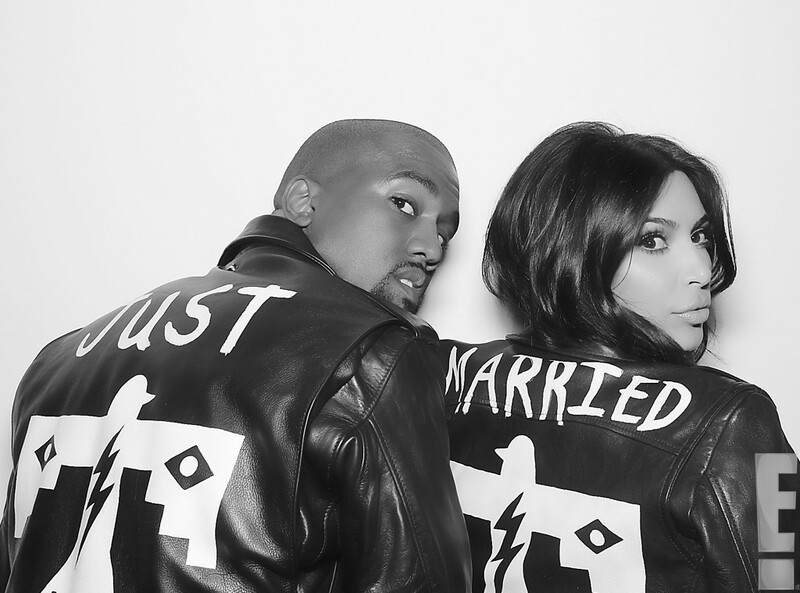 Leave it to Kimye to make the proclamation of their newly wed status a fashionable one. 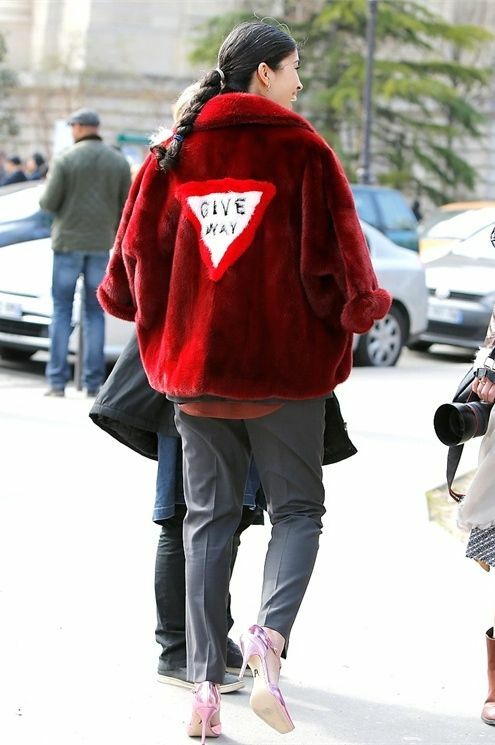 Here is Kim seen more recently picking her daughter up from ballet practice wearing her BLK DNM jacket, customized by Wes Lang. 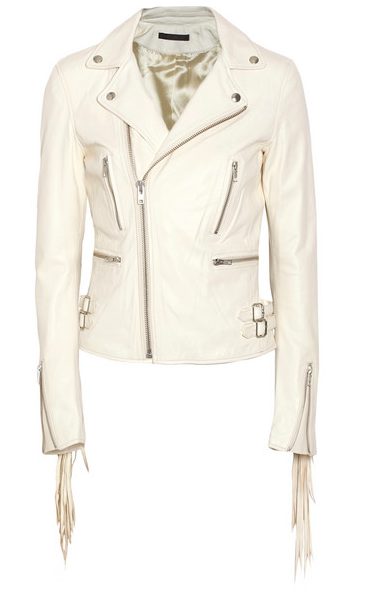 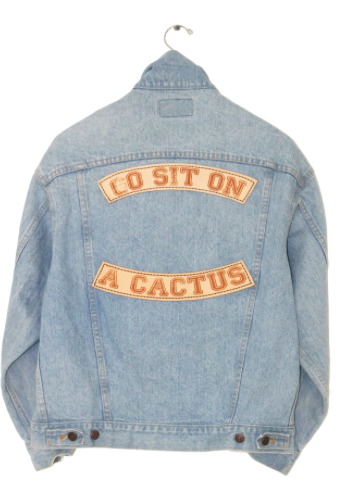 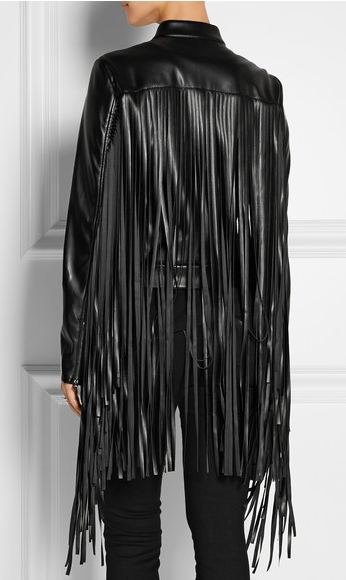 The regular jacket retails for $895. 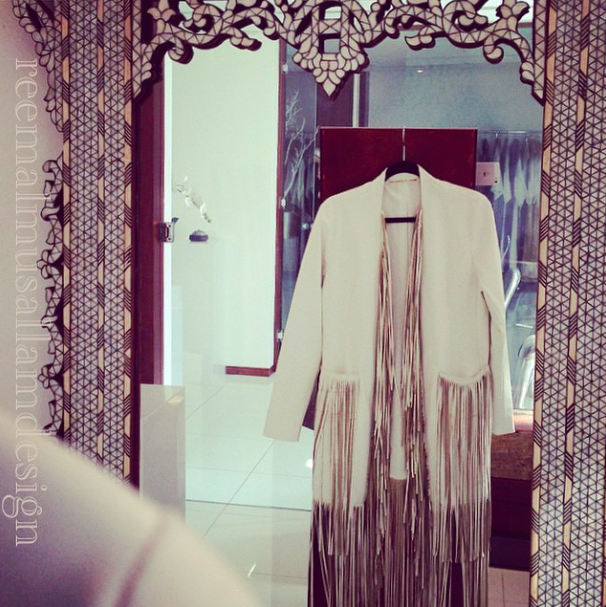 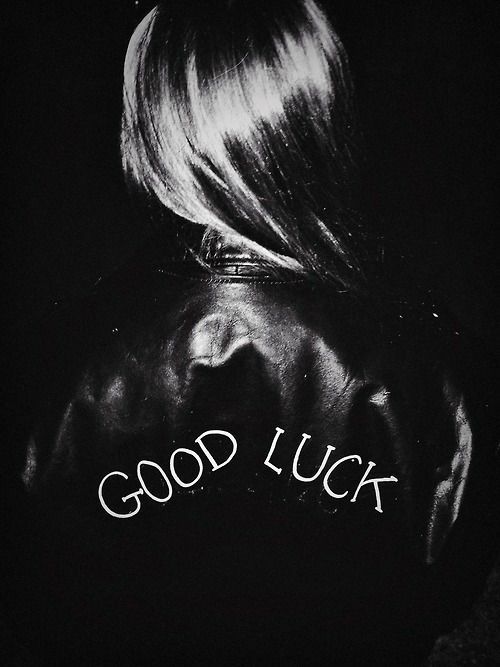 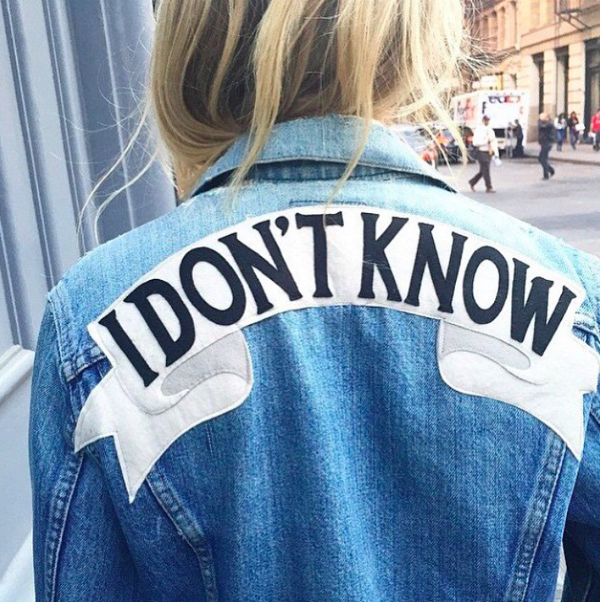 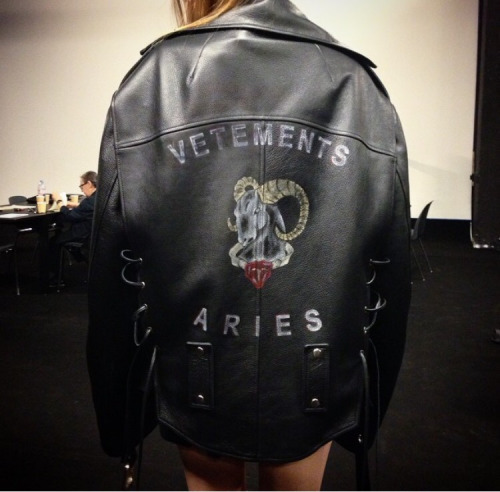 Below you’ll find a myriad of what are currently my favorite statement jackets. 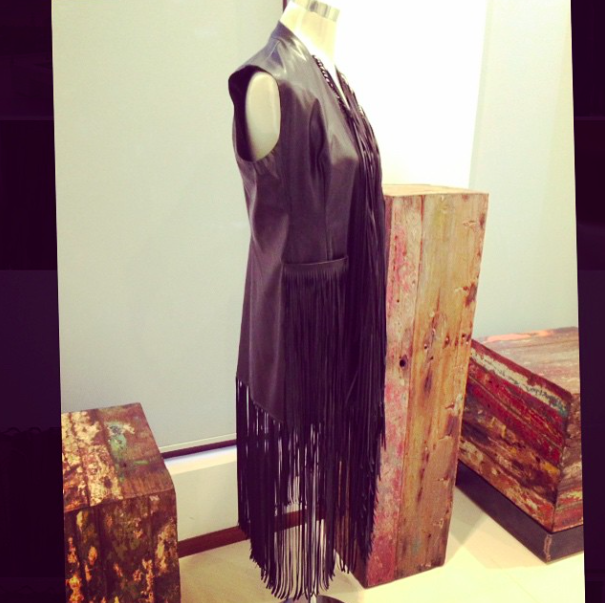 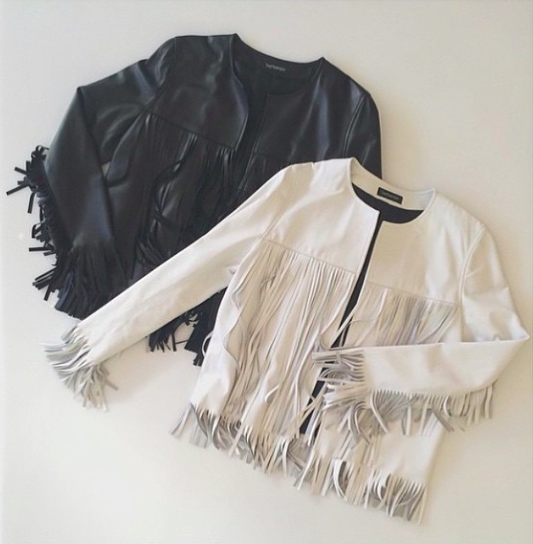 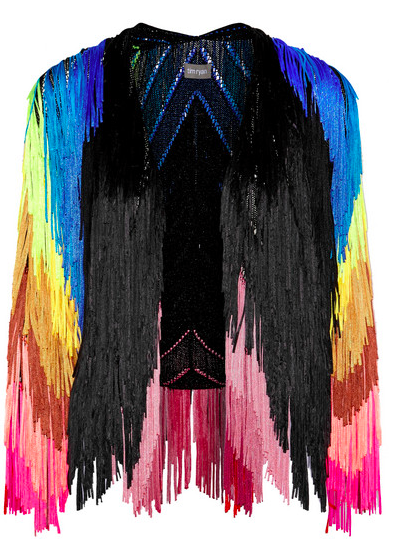 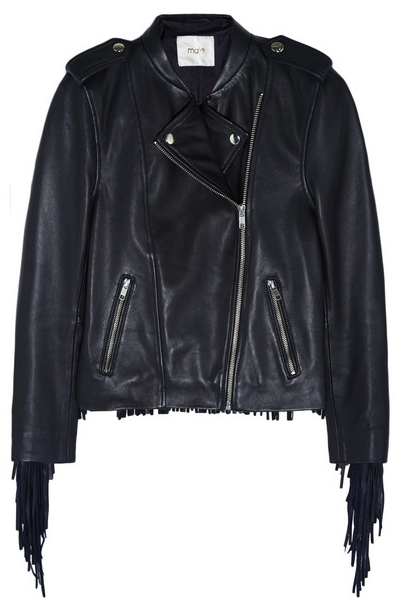 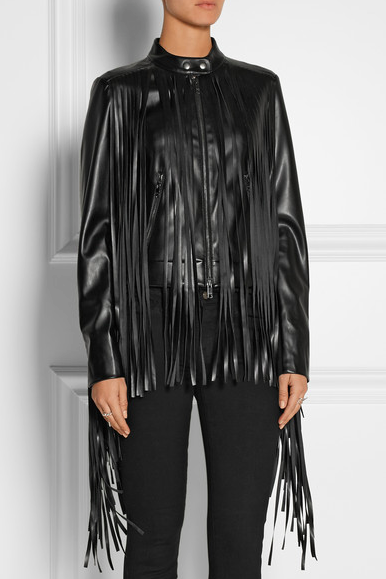 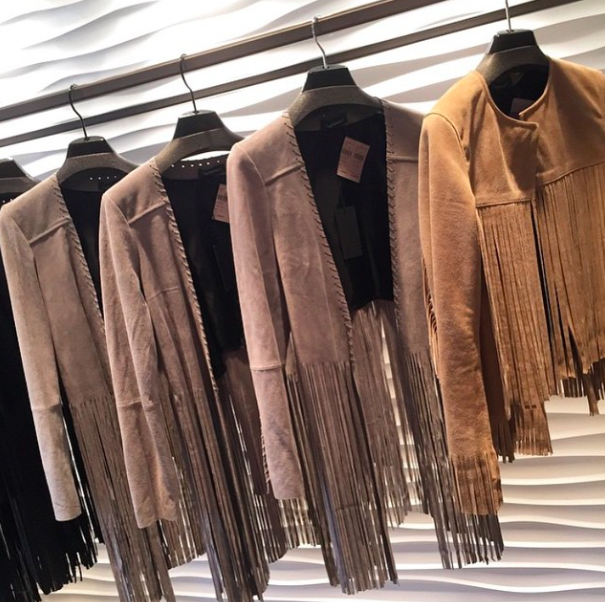 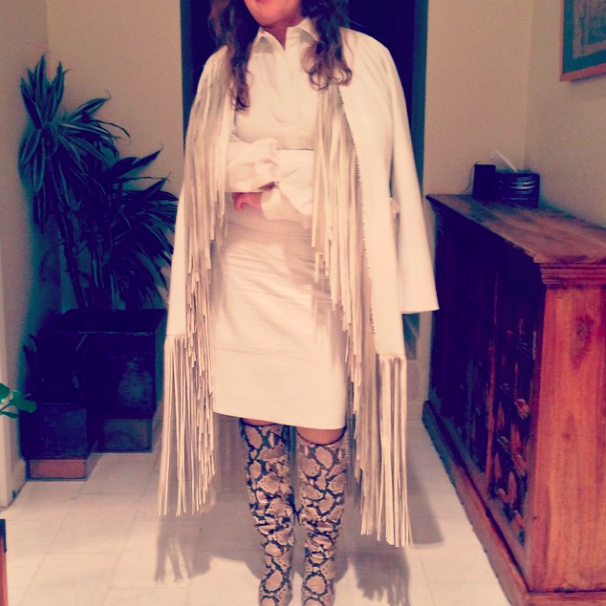 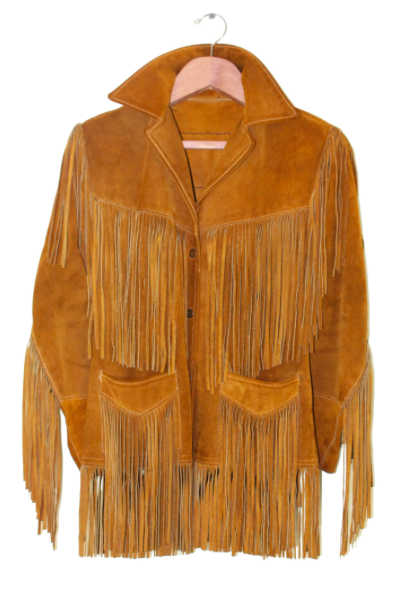 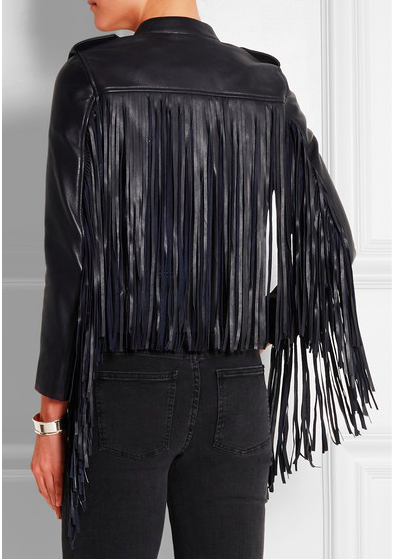 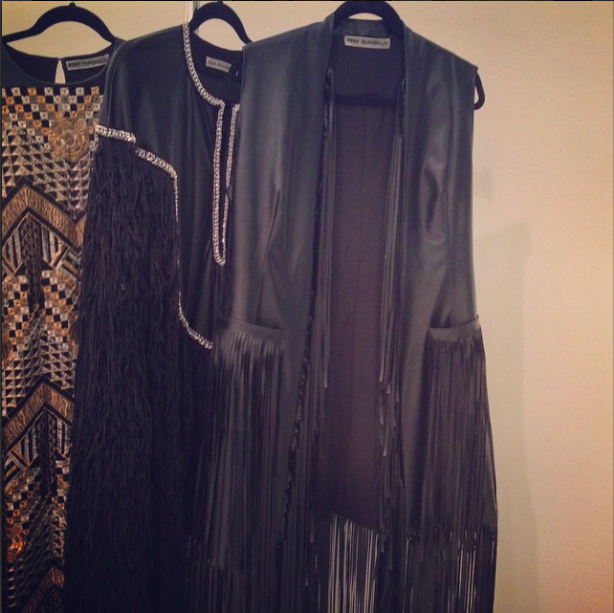 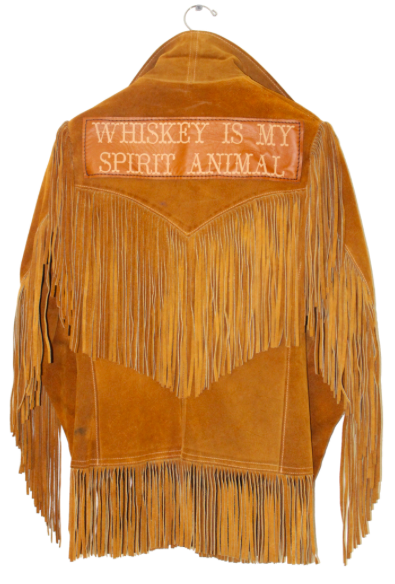 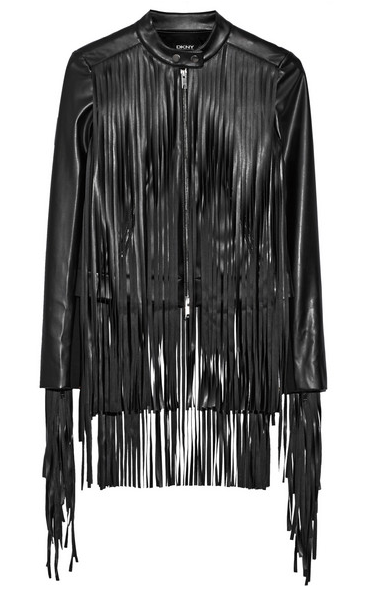 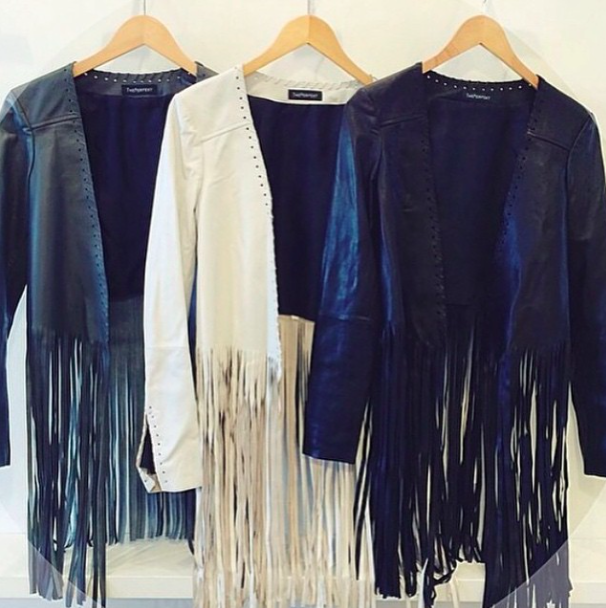 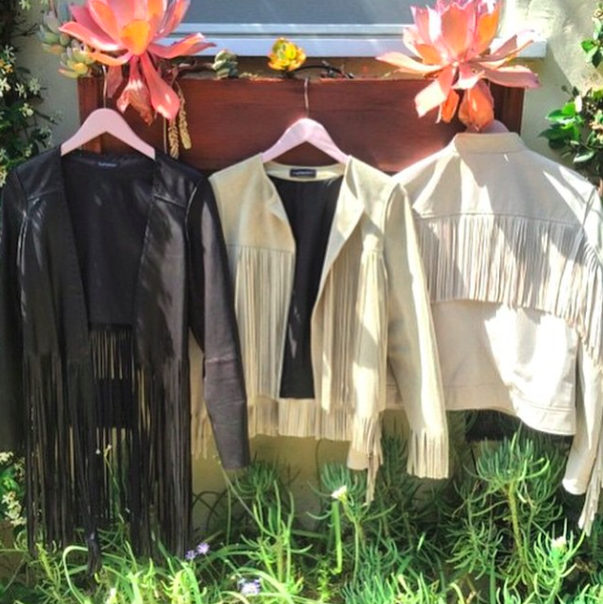 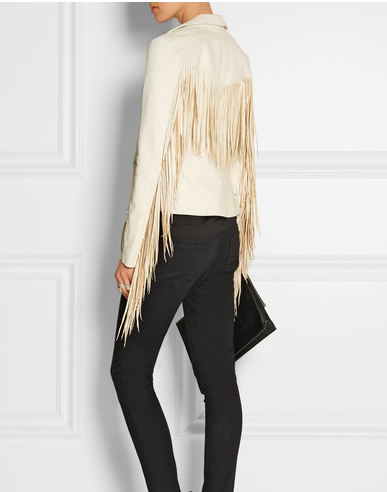 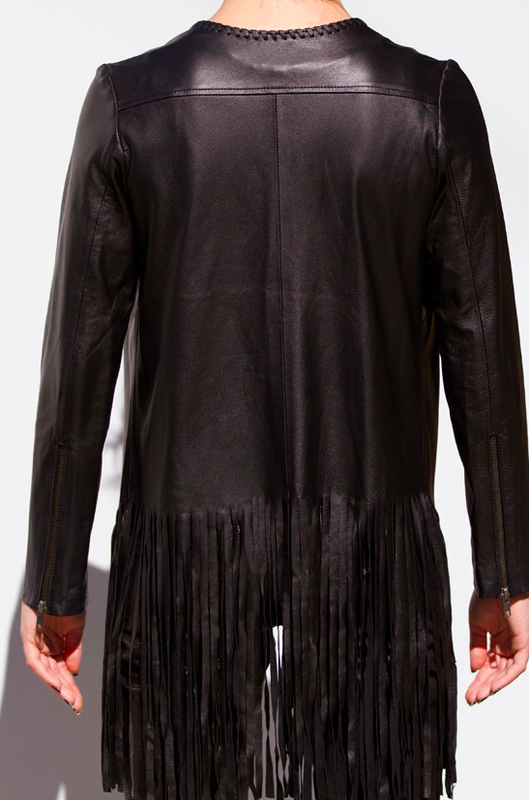 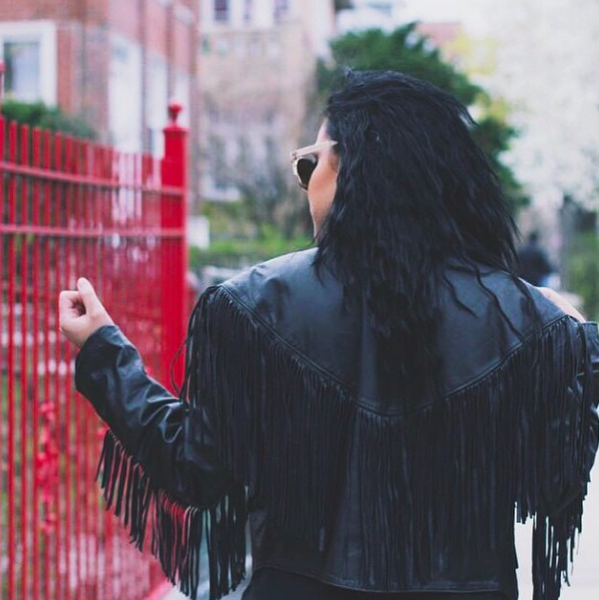 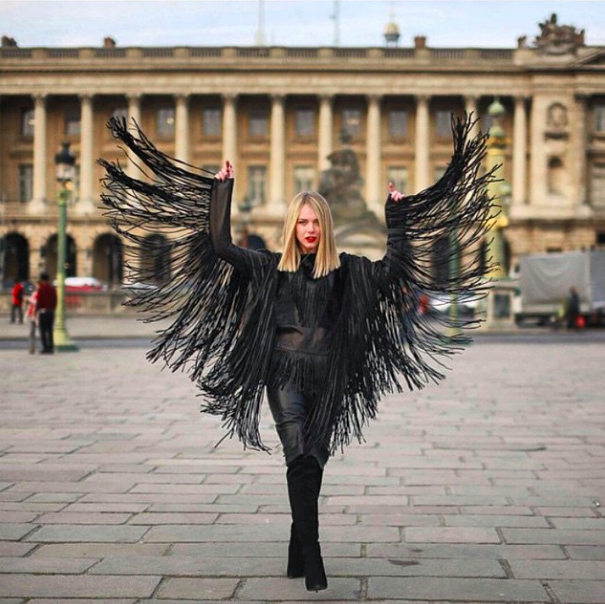 You’ll notice they include a lot of black, a lot of leather, and a lot of fringe, which I am very into at the moment. 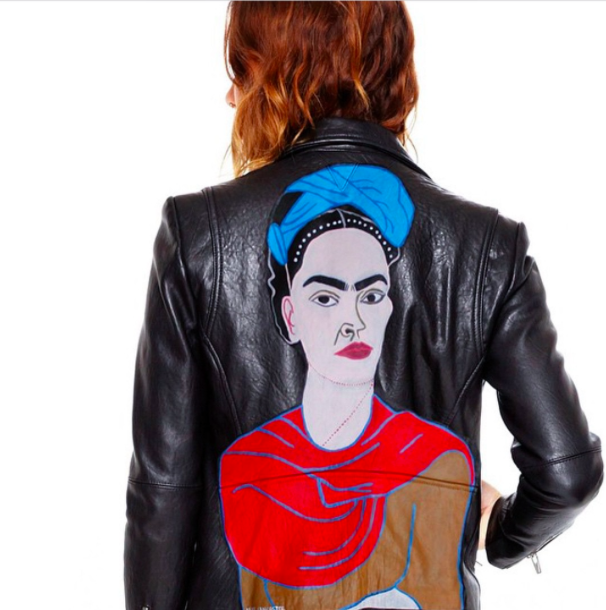 I hope these give some of you some ideas as to how to wear a statement jacket, and at least get you started on where to find some good ones. 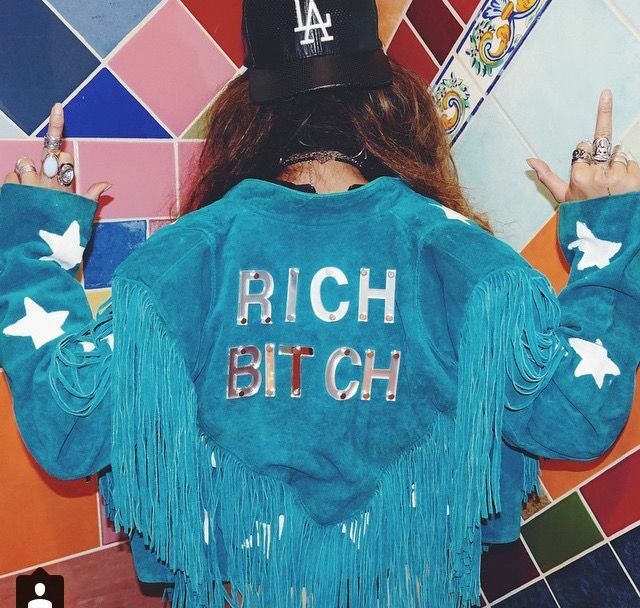 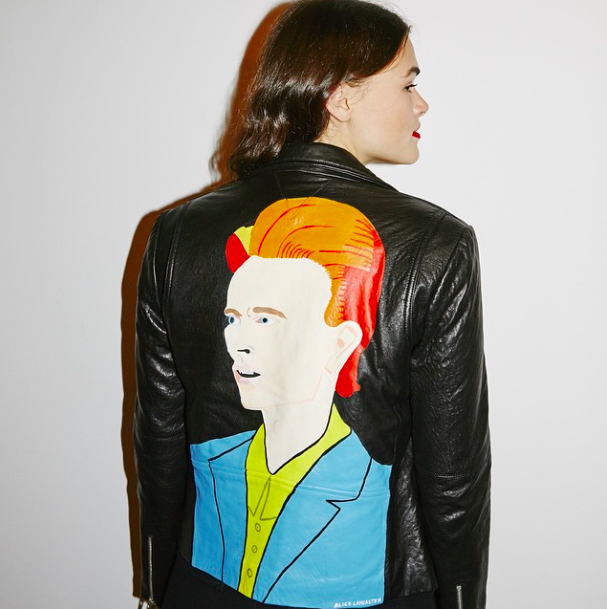 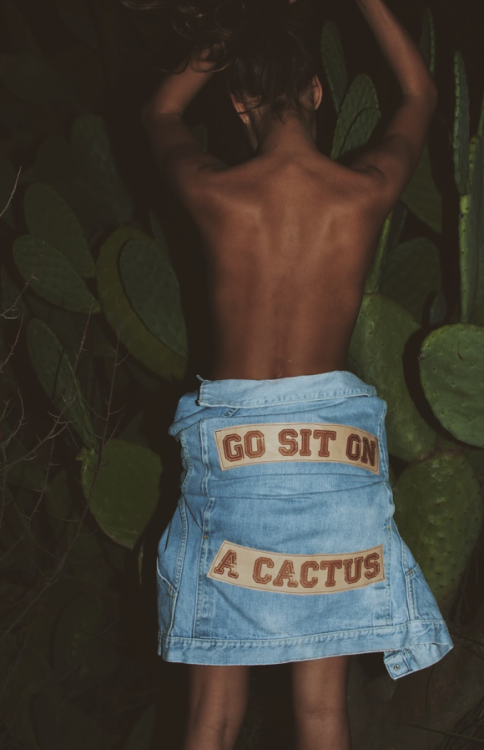 Of course, you’ll want to develop your own preferences and style because statement jackets speak loud, and they should reflect your own, unique message. 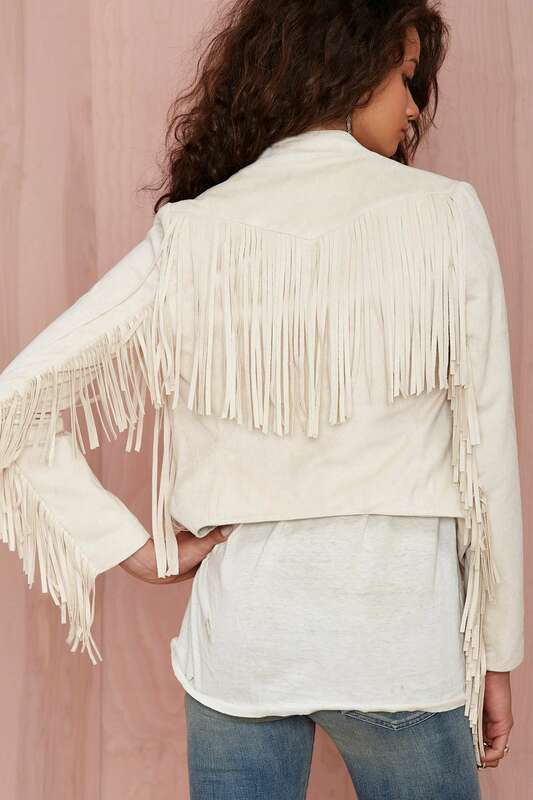 @dirrtyglam bought this jacket on ltrainvintage.com. 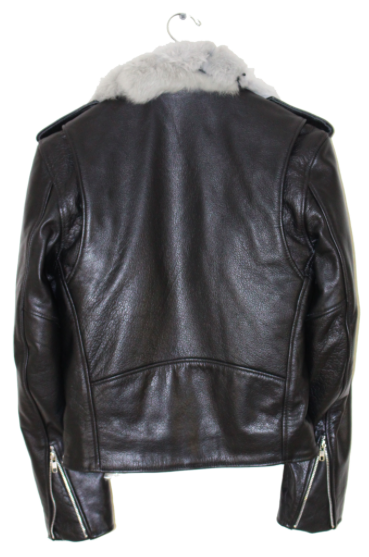 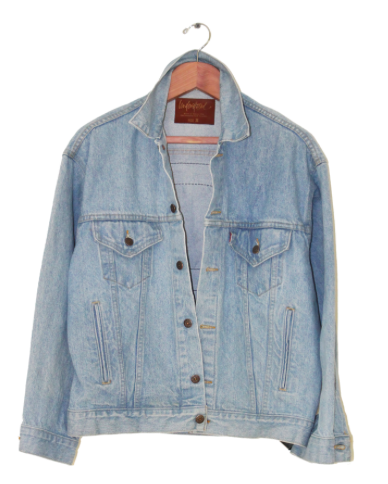 This jacket is no longer in stock by they sell similar statement jackets so take a look: ltrainvintage.com.